By 12, she was a professional in panto in Clapham and Kilburn. Once, when she was given a line to recite, someone told her mother that she had a Cockney accent. Her mother was appalled but speech lessons were too expensive for the family. Fortunately, a woman took interest in her and paid for her to be educated at Parkside Preparatory School in Tottenham. Eileen Atkins has since publicly credited the Principal, Miss D. M. Hall, for the wise and firm guidance under which her character developed. From Parkside she went on to The Latymer School, a grammar school in Edmonton, London. One of her grammar school teachers who used to give them religious instruction, a Rev. Michael Burton, spotted her potential and, without charge, rigorously drilled away her Cockney accent. He also introduced her to the works of William Shakespeare. She studied under him for two years. Her film and television work includes Sons and Lovers (1981), Smiley's People (1982), Oliver Twist (1982), Titus Andronicus (1985), A Better Class of Person (1985), Roman Holiday (1987), The Lost Language of Cranes (1991), Cold Comfort Farm (1995), Talking Heads (1998), Madame Bovary (2000), David Copperfield (2000), Wit (2001) and Bertie and Elizabeth (2002), Cold Mountain (2003), What a Girl Wants (2003), Vanity Fair (2004), Ballet Shoes (2005) and Ask the Dust (2006). In the autumn of 2007, she co-starred with Dame Judi Dench and Sir Michael Gambon in the BBC One drama Cranford playing the central role of Miss Deborah Jenkyns. This performance earned her the 2008 BAFTA Award for best actress, as well as the Emmy Award. In September 2007 she played Abigail Dusniak in Waking the Dead Yahrzeit (S6:E11-12). Atkins and Jean Marsh, creators of the original 1970s series of Upstairs, Downstairs, were among the cast of a new BBC adaptation, shown over the winter of 2010–11. The new series is set in 1936. Marsh again played Rose while Atkins was cast as the redoubtable Maud, Lady Holland. 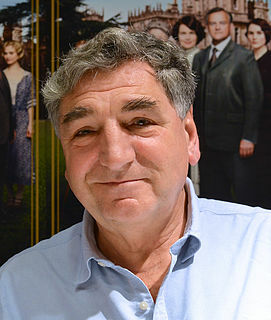 In August 2011, it was revealed that Atkins had decided not to continue to take part as she was unhappy with the scripts. In September 2011, Atkins joined the cast of ITV comedy-drama series Doc Martin playing the title character's aunt, Ruth Ellingham. She returned as Aunt Ruth for the show's sixth series in September 2013, the seventh in September 2015 and eighth in September 2017. She has portrayed Queen Mary on two occasions, in the 2002 television film Bertie and Elizabeth and in the 2016 Netflix-produced television series The Crown. Atkins portrayed graduate school professor Evelyn Ashford to Vivian Bearing (Emma Thompson) in the film Wit. Wit is a 2001 American television movie directed by Mike Nichols. The teleplay by Nichols and Emma Thompson is based on the 1999 Pulitzer Prize winning play of the same title by Margaret Edson. The film was shown at the Berlin International Film Festival on 9 February 2001 before being broadcast by HBO on 24 March. It was shown at the Edinburgh Film Festival and the Warsaw Film Festival later in the year. Atkins was created a Commander of the Order of the British Empire (CBE) in 1990. She was made a Dame Commander of the Order of the British Empire (DBE) on her 67th birthday, 16 June 2001. On 23 June 2010, she was awarded the degree of Doctor of Letters, honoris causa, by Oxford University. On 5 December 2005 she received the degree of Doctor of Arts, honoris causa, from City University London. She is a member of the American Theater Hall of Fame. She was inducted in 1998. 2007 Waking the Dead Abigail Dusniak Episode: "Yahrzeit"
^ "Past Nominees & Winners". Olivier Awards. Archived from the original on 24 November 2012. Retrieved 29 April 2014. ^ Principal's General Report to the Board of Governors, Guildhall School of Music and Drama, 13 May 2013, p. 4. ^ Eileen Atkins profile, filmreference.com; retrieved 20 December 2011. ^ Eileen Atkins' profile, filmbug.com; retrieved 30 November 2011. ^ Atkins' profile, Contemporary Theatre, Film and Television (The Gale Group, Inc., 2004); retrieved 4 December 2011. Royal Shakespeare Company Archive Catalogue, calm.shakespeare.org.uk; accessed 26 April 2014. The National Theatre Archive Catalogue Archived 31 December 2013 at the Wayback Machine; retrieved 30 November 2011. Rob Wilton Theatricalia: "Plays and Players Magazines: 1960s", phyllis.demon.co.uk; retrieved 5 December 2011. Rob Wilton Theatricalia: Theatre World Magazines: 1960s, phyllis.demon.co.uk; retrieved 5 December 2011. Rob Wilton Theatricalia: Classic Plays: 1963, phyllis.demon.co.uk; retrieved 5 December 2011. Rob Wilton Theatricalia: Other Plays: 1960–1969, phyllis.demon.co.uk; retrieved 5 December 2011. Rob Wilton Theatricalia: Classic Plays: 1970–1979, phyllis.demon.co.uk; retrieved 6 December 2011. Rob Wilton Theatricalia: Chichester Festival Theatre, phyllis.demon.co.uk; retrieved 30 November 2011. Atkins profile, Contemporary Theatre, Film and Television (The Gale Group, Inc., 2004); retrieved 4 December 2011. Phyllis Hartnoll and Peter Found Atkins' profile, The Concise Oxford Companion to the Theatre (1996)]; retrieved 4 December 2011. Theatricalia: Eileen Atkins, retrieved 30 November 2011. John McGrath, Naked Thoughts That Roam About: Reflections on Theatre, ed. Nadine Holdsworth (London: Nick Hern Books Limited, 2002), p. 25; retrieved 4 December 2011. Holly Hill, "Saint Joan's Voices: Actresses on Shaw's Maid" Shaw 6 (1986): 127; retrieved from JSTOR. Albemarle of London archive page for A Delicate Balance; retrieved 3 December 2011. ^ a b c Chris Hastings, "Eileen Atkins: I don't see why ageing can't be attractive" The Telegraph (5 July 2008); retrieved 8 December 2011. ^ "Shakespeare's Globe, Bankside, Southwark, London/Shakespeare's Globe". Shakespearesglobe.com. Retrieved 24 April 2014. ^ "The Witch of Edmonton". Rsc.org.uk. Retrieved 6 March 2016. ^ "Ellen Terry with Eileen Atkins / Shakespeare's Globe". Shakespearesglobe.com. Archived from the original on 5 September 2015. Retrieved 13 July 2016. ^ Profile[permanent dead link], ftvdb.bfi.org.uk; accessed 26 April 2014. ^ "Television Awards Winners in 2008". Bafta.org. Retrieved 24 April 2014. ^ "Dame Eileen Atkins leaves Upstairs Downstairs", BBC News Online, 21 August 2011. ^ "Eileen Atkins to star in ITV's The Scapegoat". thestage.co.uk. Retrieved 6 April 2014. ^ "Dame Eileen Atkins, Nigel Havers and Catherine Tate to deliberate over Helen Titchener's fate". BBC Radio 4, The Archers. 9 September 2016. Retrieved 15 September 2016. ^ Frances Hardy, "I stalked my lover's wife!" (22 July 2011); retrieved 30 November 2011. ^ "SHEPHERD - Deaths Announcements - Telegraph Announcements". Announcements.telegraph.co.uk. 6 July 2016. Retrieved 13 July 2016. ^ "The night Colin Farrell tried to seduce me". Daily Mirror. 5 May 2005. Retrieved 12 June 2008. ^ "Screen queen shakes a leg - Telegraph". telegraph.co.uk. Retrieved 28 June 2014. ^ Solutions, Powder Blue Internet Business. "Richard Ayoade to appear in Paddington 2 : News 2017 : Chortle : The UK Comedy Guide". www.chortle.co.uk. 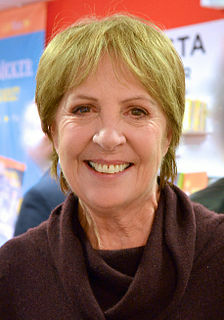 Dame Penelope Alice Wilton is an English actress. She is known for starring opposite Richard Briers in the BBC sitcom Ever Decreasing Circles (1984–89); playing Homily in The Borrowers (1992) and The Return of the Borrowers (1993); and for her role as the widowed Isobel Crawley in the ITV drama Downton Abbey (2010–15). She also played the recurring role of Harriet Jones in Doctor Who (2005–08). 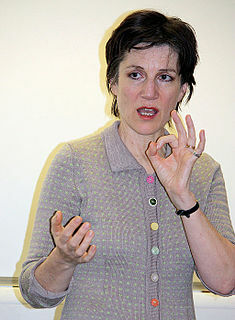 Dame Harriet Mary Walter is an English stage and screen actress. Her film appearances include Sense and Sensibility (1995), The Governess (1998), Villa des Roses (2002), Atonement (2007) and Man Up (2015). On television she starred as Natalie Chandler in the ITV drama series Law & Order: UK (2009–14), as Lady Prudence Shackleton in four episodes of Downton Abbey (2013–15), and as Clementine Churchill in The Crown (2016). She was appointed Dame Commander of the Order of the British Empire (DBE) in 2011 for services to drama. James Edward Carter, is an English actor. Kathleen "Lally" Bowers was an English actress. Phyllis Neilson-Terry was an English actress. She was a member of the third generation of the theatrical dynasty the Terry family. 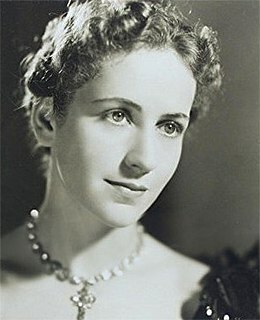 After early successes in the classics, including several leading Shakespearean roles, she spent more than four years in the US, in generally lightweight presentations. Jean Forbes-Robertson was an English actress. A versatile Shakespearean actress, she was often cast in boys' roles because of her slim build, playing Jim Hawkins in a stage version of Treasure Island, Puck in A Midsummer Night's Dream and, most famously, the title role in Peter Pan. Kelly Hunter is a British film, television, radio, stage and musical actress, a member of the Royal Shakespeare Company and the National Theatre. She is a Laurence Olivier Award nominee and Radio Academy Award and TMA Awards winner.